Discover and source relevant candidates using social media platforms, specialized platforms, job boards. Discover hidden passive talent! CVViZ helps you source resumes of candidates from various platforms. Once you source bunch of resumes, AI resume screening instantly identifies if these these candidates are suitable for the job position. CVViZ instantly finds profiles of candidates on platforms like LinkedIn, StackOverflow, Github. 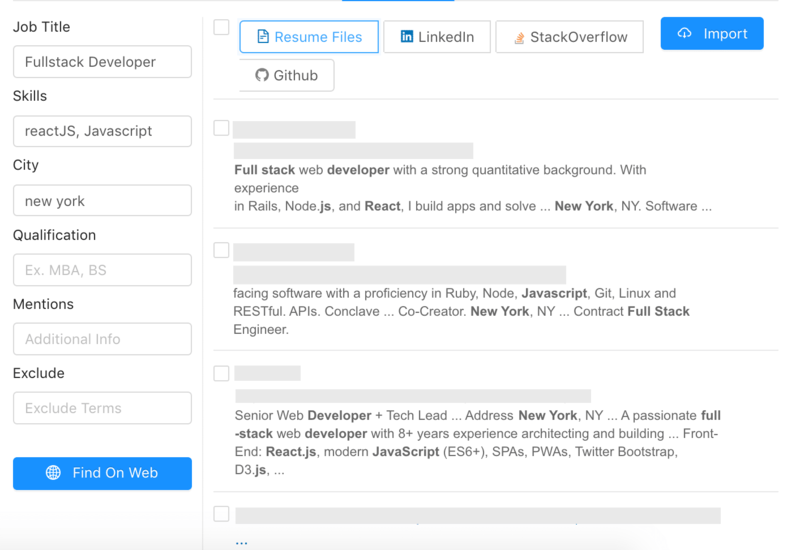 For example if you are searching for Full stack developer in New York in CVViZ, it will show you relevant candidates from such platforms. It makes finding passive talent easier. 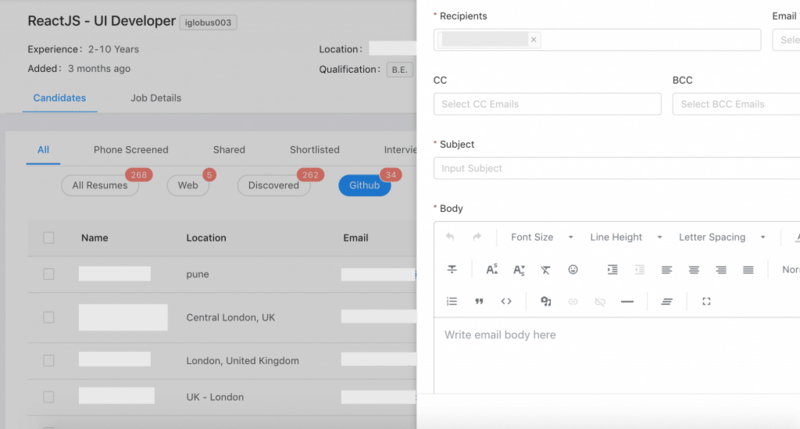 CVViZ is a smart applicant tracking system that helps you send personalized messages to most relevant candidates.